We’re delighted to announce our newest trip, The Puglia Experience in southern Italy, offered for the first time in October 2020. You may not know much about Puglia… it’s a less-discovered area of Italy, but definitely a rapidly-rising star. We just loved it and can’t wait to return and share this special place with our travelers. 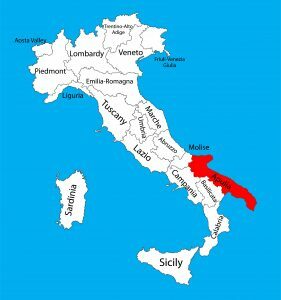 Puglia (also known as “Apuglia”) is often called the “heel of the boot,” with its entire eastern border along the Adriatic Sea. The tip of that heel—called the Salento Peninsula—sits between two seas: the Ionic Sea to the west and the Adriatic Sea to the east. Much of inland Puglia is lush farmland, often enclosed by low stone walls and dotted with cone-shaped peasant farmhouses called “trulli.” Along the coast and in the countryside, the scenery is unique and absolutely stunning. Puglia is an ancient land with a distinct culture within Italy. The earliest known settlements date back over 100,000 years. The area was settled by the Greeks in the 8th century B.C, followed by the Romans, then conquered in later years by various invaders including the Lombards, Normans, Turks, and Spanish. This history and the influence of these societies shaped the character of Puglia today. During our week in Puglia, we’ll experience the inspiring history and culture of this unique land: incredible art and architecture, breathtaking landscapes, rugged countryside, vibrant town centers, white-sand beaches on emerald seas, and a bounty of excellent food and wine. 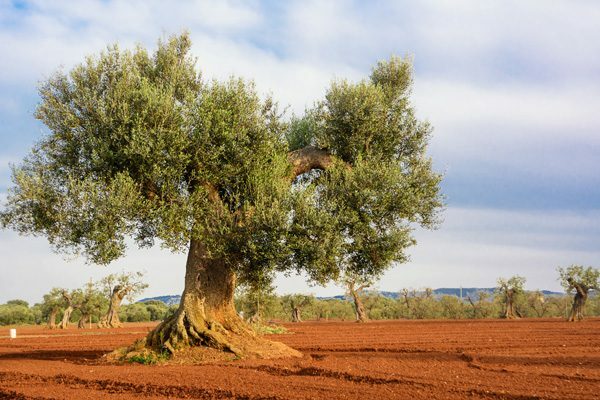 We’ll pass through miles and miles of olive trees… 60 million of them, thousands of trees more than 1,000 years old! The Puglia region produces 40% of Italy’s olive oil. Puglia’s traditional cuisine incorporates fresh, local ingredients from the land and sea. Our meals and visits to food and wine producers will be a highlight of our week as we enjoy simple, often rustic Puglian cuisine around the table together. Mid-October is an ideal time to visit Puglia. The crowds of European tourists seeking beach vacations have departed and so has the heat of summer. We should enjoy pleasant daytime temperatures in the low to mid 70’s (F) and mostly sunny weather. Our home base for The Puglia Experience is the ancient hilltop town of Ostuni. Known as the “White City” because of its white walls and buildings, Ostuni’s historic center is dominated by an imposing 15th century cathedral, surrounded by small streets ideal for wandering. 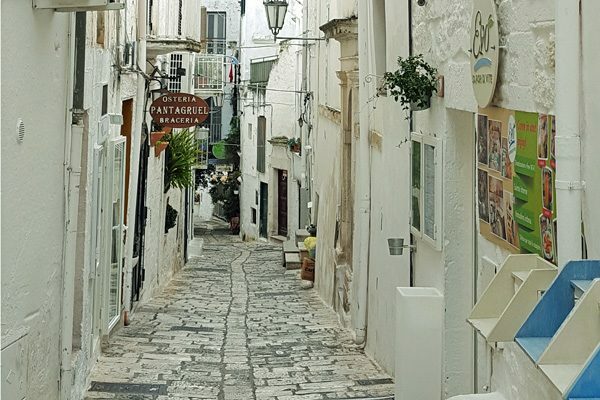 Located just five miles from the Adriatic coast and with a population of 30,000, Ostuni offers a variety of shops, eating places and services for our week and a central location to experience the best of Puglia. Visits to unique towns and villages, inland and on the sea, including Alberobello and its unforgettable trulli houses; Grottaglie, the ceramics center of Puglia; and Galatina, with an incredible church filled with frescoes. A day in the lively, historic town of Lecce with its impressive Baroque architecture and abundance of churches. A highlight will be our visit to the Faggiano museum, where the family discovered a vast underground complex dating back 2000 years and thousands of artifacts. 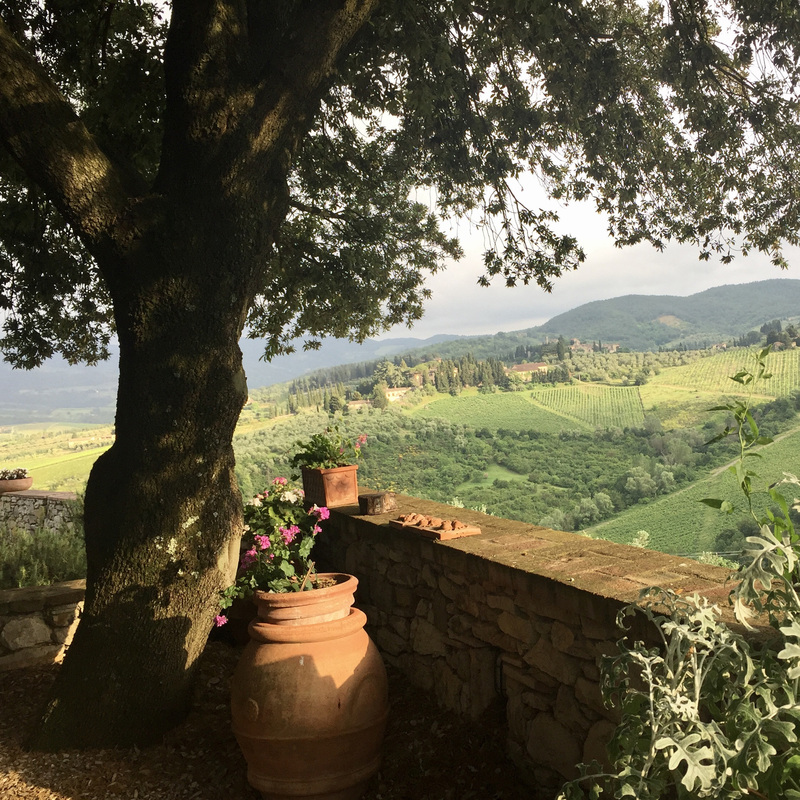 Tours and tastings at two family-owned wineries; a historic olive mill; and a cheesemaking farm, offering opportunities for personal interaction with the passionate owners. A cooking class at a 17th century “masseria” (a large walled farm complex), where we’ll learn about the cuisine of Puglia and prepare a delicious meal together. Memorable meals in a variety of settings, featuring Puglian specialties. Time for relaxing and exploring on your own. Our accommodation for the week is a boutique four-star hotel on a pedestrian street in the historic center of Ostuni. The hotel is a beautiful restoration of a 13th century palazzo. Every room is different, all with ensuite bathrooms and air conditioning. Our group will enjoy gathering in the hotel’s common areas, including a cozy bar and terraces with panoramic views. Our meeting/drop-off point for The Puglia Experience is the Bari international airport, located about five miles northwest of the center of Bari and 60 miles north from our base in Ostuni. The Bari airport is served by major airlines including Alitalia (direct flights to/from Rome, Bologna and Milan); British Airways (London Gatwick), Lufthansa (Frankfurt) and Air France (Paris) as well as several budget airlines offering direct flights to a variety of destinations around Europe..
You can also travel to and from Bari by train, about four hours from Rome. And Bari is a major port as well, with regular ferries traveling across the Adriatic Sea to destinations in Greece, Croatia, Montenegro and Albania. The seaside city of Bari (population 325,000) would be an interesting place to spend a night or two before or after our week together. The center of Bari is just 20 minutes from the airport by train or shuttle bus. From Bari you could also do a day trip to the famous UNESCO World Heritage city of Matera, a spectacular site in the adjoining region of Basilicata, known for its ancient system of cave dwellings. 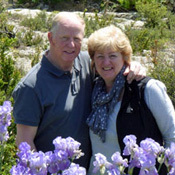 You could book a tour from Bari to Matera or visit on your own by train or bus.